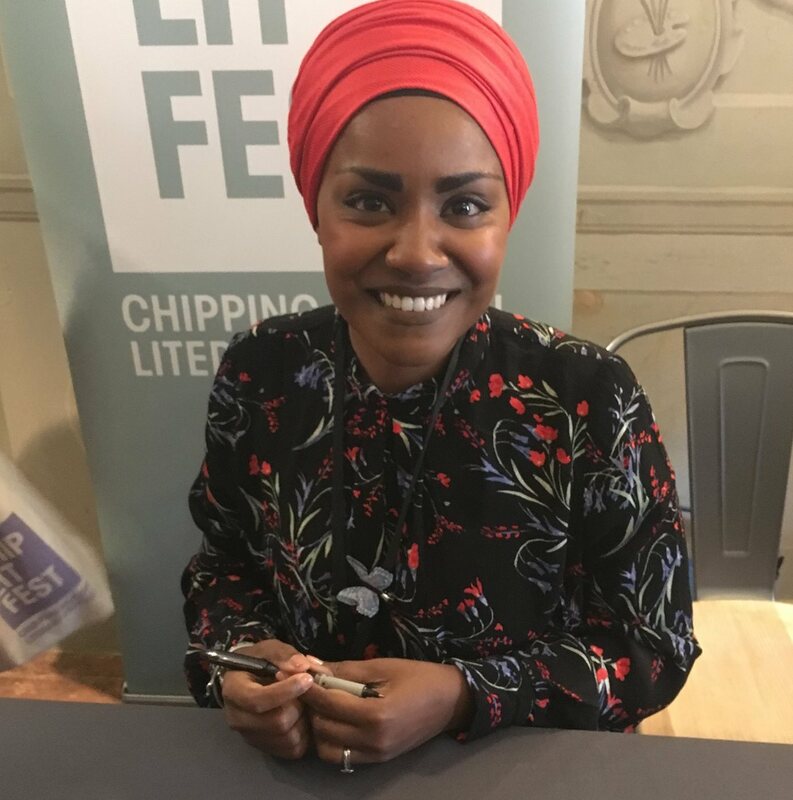 Nadiya revealed that she was diagnosed with a panic disorder when she was a teenager, and underwent cognitive behavioural therapy. She describes her disorder as “a monster”: “I’ve had to live my whole life with it in my face. It still exists, but now it stands behind me. Although it taps on my shoulder occasionally, I have taught myself to live with it.” Her advice is to scare oneself: “I learnt to scare myself senseless,” she said, claiming that being scared of doing something is always the best reason to go ahead and do it. It was this, she claims, which pushed her to apply for The Great British Bake Off in 2015. When discussing racism, Nadiya stated, “Am I into politics? Absolutely not.” Her identity as a Muslim woman did not bear any relation to her applying for The Great British Bake Off in 2015: “The political impact was unintentional. The fact that I am a Muslim woman was incidental to my application.” Despite this, and the pressure she described as having experienced as a result of her newfound fame, she describes her success as “a great thing that came out of winning something I didn’t expect to!” She believes her popularity is more a result of a need for representation than diversification, seeing herself as something “refreshing”, someone who people “needed to see”. In 2016, Nadiya told The Times that she began wearing a hijab at the age of 14 to “cover up bad hair more than anything else,” following a particularly bad haircut. Today she joked that she “has to cover it up” because her grandmother washed it with Fairy Liquid when she was a child. Neither her mother nor her three sisters wore hijab when she was growing up. Her direct sense of humour exudes warmth and exhibits a bold confidence with relation to her Muslim identity. Opening the questions was her daughter in the stalls, with the compelling query: “What’s for tea, Mum?” The talk ended with resounding applause, the audience thoroughly warmed through with her overflowing passion for her family, her career, and her culture. It’s safe to say that, despite all she has achieved so far, Nadiya has a lot more to give in the future.